MEMBERS LOGIN | Join STC! If you are new to triathlon or are looking to join an amazing club, you have come to the right place! The Sacramento Triathlon Club is the oldest and largest USA Triathlon member team in the Sacramento area. Our membership spans a broad range of triathletes, from IRONMAN World Championship competitors to first time beginners. We host numerous workouts, seminars, and other events in the greater Sacramento Area. 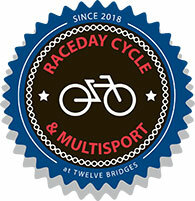 We also race in many races locally, nationally, and internationally. Membership is valid for each calendar year; January 1st through December 31st. There is no pro-ration for enrollments after January 1st. Membership for NEW or RENEWING (Existing) members is $50. Membership runs from January 1st to December 31st each calendar year. Online registration is available through PayPal (using your Debit, Credit, or existing PayPal account). Learn more about the benefits of joining STC by visiting the Membership page. Join Sacramento Triathlon Club now!